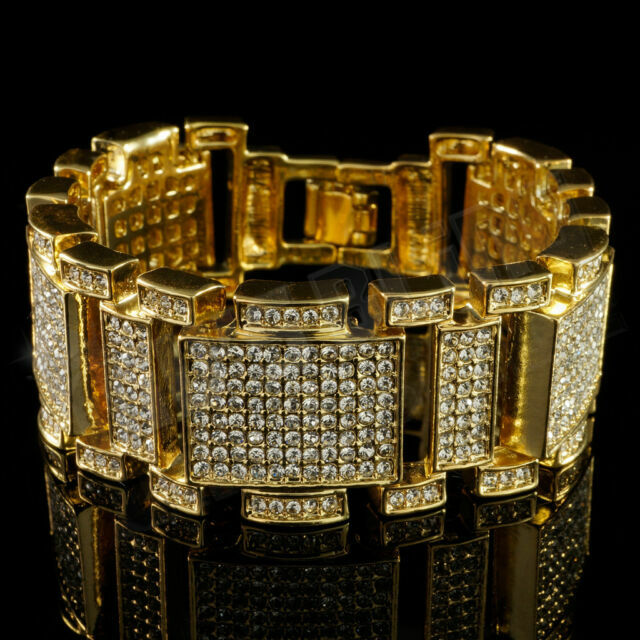 This iced out bracelet is made from high quality jeweler's alloy and plated with premium 14k gold plating. Also, exposing plated jewelry to liquids will cause the plating to lose its finish. 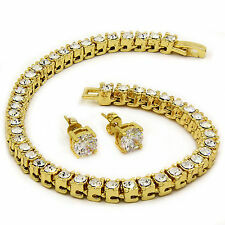 Our variety of stylish and tarnish free stainless steel chains are the perfect accessory for the Hip Hop enthusiasts. Looks great at night. Very flashy!